Over on the Unproduced Scripts page are thirty one original scripts for your reading pleasure. Sometimes, a script engages you from the first couple of sentences; usually for a combination of reasons. Its introduction piques your interest.. hinting at mysteries to come. Its story beats stimulate an easy empathy – compelling one to root for a character, even before you know their name. Such tales flow from simple beginnings, weaving a subtle narrative that never lets one disengage. Cracking stuff. When done just right. Time for Love is such a script. A super-short four page piece, TFL follows Marjorie Flanagan (86), confronting an interloper in her shed. Armed with a stick, she prepares for battle – only to be hit with the shock of her life instead. Sitting in the middle of the barn is her husband, George; a time-traveling inventor who disappeared sixty years ago – vanishing into thin air, without a trace. But now he’s back. And he’s hasn’t aged. A twenty seven year old wanderer, tethered to a tempermental steam-punk time machine (a huge jerry-rigged kings wing chair). It’s a moment of sweet reconciliation for two long lost lovers. But with a caveat that threatens to ruin all. You see, George can’t stay in one place for very long. If he does, he ages. Badly. After decades of trying, he’s finally found Marjorie. And has only minutes to make up for a lifetime of lost memories. Science fiction at it’s finest, Time for Love isn’t about gadgets or FX. It’s a psalm to love, aging and loss, and the fragility of the human condition. Mixing in echoes of Dr. Who and classic literature, Bowcott infuses TFL with a real sense of poignancy… one that resonates on a universal level. A limited location classic, TFL has only one setting – a shed – two actors and a time machine. It’s sure to be a festival favorite – grab this one before the flow of time snatches it away! Budget: Low. And designing that time machine is going to be fun in and of itself! About the writer: Dustin Bowcott is a self employed microbe retailer and father of four boys. He has enjoyed writing since the day he read his first novel. For Dustin, writing is something he has to do, when not writing, he’s thinking about writing and will absorb himself into multiple projects at one time. When he gets tired of writing one thing he moves onto another and has been known to work on three different stories in one day, writing for sometimes 12 hours straight and, on occasion, even longer. Dustin can turn his hand to any genre and has just finished first draft of a new children’s novel. Dustin is a BBC Writer’s Room finalist and a Shore Scripts finalist both in 2014. He is a produced and optioned writer, and has recently turned his hand to production, having produced his first short film with another in the pipeline that should be completed this year. Want to see what else he has in store? Give him a shout-out at dustin7375 “AT” gmail. Intersection (Short, Dark Comedy – 22 pages in pdf format) – by Brendan Beachman The monotony of two road construction workers day is smashed with the violent arrival of an object from the sky. Intersection opening from Brendan Beachman on Vimeo. My Doctor (Short, Sci Fi, Fantasy 40 pages in pdf format) by Mark Renshaw won a fan fiction prize in the Wildsound Film Festival over in Toronto, Canada. The prize was a table read, which they’ve recorded and posted on their website. A 50th anniversary special episode of Doctor Who starring every incarnation of the Time Lord. An ordinary day finds Mark in a café eating breakfast when in walks Matt Smith dressed as the Doctor. Bemused and starstruck, Mark plays along until Matt insists on a tour of his TARDIS to prove he is the real deal. Realisation soon hits home – This is no ordinary day, Mark is in very real danger and the only person who can save him is a fictional mad man in a box. Podcasts are a great way to pick up a ton of useful information on screenwriting, scripts and the market for them. Not to mention a terrific tool for filling dead time: driving, commuting and the like. At their best, Podcasts are informative, funny, provocative and quickly become part of your ‘must do’ schedule. So – without further ado – here are my favorites. In no particular order…except for the first one! John August (Big Fish, Frankenweenie etc) and Craig Mazin (Hangover 2 & 3 etc) are the real deal. Working Hollywood screenwriters who write for a living… and who pay it forward by putting out a weekly podcast to share their knowledge, opinions and wisdom. Their insights are quite useful, based on their working knowledge and experience of the industry . And they don’t shy away from difficult subjects. There’s now over 200 episodes, so get downloading! Note: John and Craig are chalk and cheese from a personality point of view, but this dynamic is one of the many things that makes the weekly episodes an absolute highlight of my week. Pilar Alessandra is a professional script consultant in Hollywood. Her weekly show is based around a succession of guests: almost all of whom are screenwriters, but occasionally show runners and producers are added to the mix. The interviews are wide ranging, funny and informative. Pillar definitely knows her stuff and is a real livewire on the show. These podcasts consist of records of lectures given by a variety of screenwriters at BAFTA/BFI events. They’re not regular, and tend to come out in a bunch once a year. Currently available are podcasts with Emma Thompson, Richard Curtis, Tony Gilroy, and Charlie Kaufman to name but a few (there’s approx 25 in total). A great service provided by Network ISA. They have regular Tele Seminars with screenwriters, script consultants etc, which are recorded and released as podcasts. Currently there are over 50 that have been made available, and include guests such as John Truby, Robert McKee and David Trottier, and covering subjects like Rewriting (with Pilar Alessandra), Winning the Big Contests and Pitching. This is a new podcast from the WGA West. Only a couple of episodes so far. It deals with WGA news, has writer and staff interviews and is pretty informative for both WGA members and non-members. This one is a little different… As Franklin Leonard puts it… ‘it’s movies for your ears’. In essence, this podcast takes well written scripts from the Blacklist and have professional actors voice them in a table read type setting. They work extremely well. The scripts they’ve done so far have been excellent and varied. Tim Claque and Danny Stack are working UK writers who provide insights on the UK scene and interview UK based writers, producers and more. Informative and funny for us Brits, there’s almost 50 episodes so far. As to how to access these resources? Use whatever Podcast app you have on your IOS or Android device, and remember to subscribe so that you get the new episodes as soon as released. Which is not to say the list ends here. On the contrary – it’s just beginning. There are a bunch of other podcasts that I subscribe to, and find useful to my writing. The best podcasts spark ideas around subjects I like, and act as inspiration generators. My personal ones are Lore, Ted Talks, Mysterious Universe, Mark Kermode and Simon Mayo’s Film Reviews and Paranormal Report. In their own ways, each of these have provided info and snippets that have acted as the genesis for short or feature ideas. Mind you, these are my favorites – catering to my particular interests – so have a look round yourself. See what podcasts exist for your interests and fave genres. Because you never know where inspiration will strike next! Let me know if I missed anyone. Check out the full list here. Thanks Pia for the heads up! Certain events has compelled me to remind user that the SimplyScripts Discussion Board and Comments Section is privately run. Your freedom of speech and freedom of expression does not extend to this privately run discussion board or comments section. While I am a huge proponent of freedom of expression and freedom of speech, if you post speech or symbols that I find offensive, I will delete them. If you keep doing it, I will ban you. I promise you that I will not come to your house and stand in your living room and spew vitriol and brandish symbols offensive to you if you promise not to do it in my house. You can also check out the rules that I use to govern behavior on the discussion board and comments section. Two drug addled squatters receive an offer they can’t refuse. Just a few select films from the small island across the pond in the crime and thriller genres. Each has made an indelible impression upon audiences worldwide. British writers and filmmakers are masters at depicting their own special brand of crime. In his article for The Guardian earlier this year, Andrew Pulver examined the never ending popularity with audiences of Gangsters, geezers and guns and the booming low-budget crime-flick industry… both on the large and small screen. Continuing with this tradition, and in his own inimitable fashion, STS is proud to showcase Dustin Bowcott’s short screenplay: Evicted. We’re introduced to Steve and Baz, two down on their luck twenty-something lads who just happen to believe in that old adage: possession is nine-tenths of the law. If you’re wearing it, driving it, living in it, it’s yours – until proven otherwise. After all, home is where the heart is and when we first meet these two they are enjoying a nice quiet night in – sitting back and relaxing amidst a little candlelight. Okay, that ambience is perhaps a little deceptive. There is candlelight but that’s because the power’s been cut off long ago. There’s also rats, broken glass and the general putridness and squalor associated with a ‘squat’. Will you look at what the wind just blew in – an unannounced visitor by the name of Gianni. In his forties, and in a whole other league to the boys. He’s well spoken, wearing high-end clobber – exquisite Italian leather shoes, tan crombie and black fedora with tan hatband. This is a man in charge. So, what’s this hotshot want with two no-hopers? Gianni’s got a few problems – or as he likes to put it, a few ‘most hated things’ that need fixin’. Which is where the lads come in. Contrary to what we first fear Gianni is not concerned with how this lot came to be here, nor what vices they may indulge in. He’d rather take advantage of their less than altruistic attributes, in the form of a very tempting proposition. Steve, being the brains of the outfit, (and I use that term loosely) is at first a little circumspect, despite his drug-induced haze. But when Gianni drops a bag of the good stuff at the boys’ feet with a few choice verbal reassurances and the promise of some cold hard cash, it’s an offer neither can refuse. After all, the job sounds like a piece of cake – no stealing, no violence – a little light stand-over is all. What could be simpler than scaring a few old people out of their homes so Gianni can recoup some of the money he’s owed. An easy five hundred quid. Or, if you’re au fait with your cockney – easiest monkey ever. I’m not letting any more out of the bag on this one, suffice to say the denouement to this gritty crime thriller is not for no nancy-boys. Filmmakers: So, you’re done with your RomComs and gentle slice of life dramas. Want to add seedy underbelly crime-thriller to your reel? Ready to tackle real hard men characters, dark humour, and dialogue that sings with authenticity – not to mention a liberal amount of gore to top it all off? Alright then guvnor, don’t bovver with the rest, get on it. Now. You heard. That’s an order, son. Why are you still here? Budget: No problems at all here. A few ramshackle locations will do you fine; and some seedy characters to fill the space! Michael Kospiah, who wrote The Suicide Theory that was work-shopped in part here on SimplyScripts several years ago, has been produced and is making the indie circuit. The Suicide Theory had its world premiere at the historical Grauman’s Chinese Theater in Hollywood. In 2008, Michael Kospiah put up his script, The Suicide Theory – Two outcasts form a bizarre friendship when one man’s suicide attempt interferes with a homicidal sociopath’s attempt at murder. It has been produced as The Suicide Theory – A suicidal man hires a demented killer to assist him in suicide, but for some reason, miraculously survives each attempt on his life. 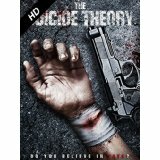 Like it on facebook.com/TheSuicideTheoryFilm and check out the Official Teaser Trailer for the upcoming Australian independent film The Suicide Theory. Starring Steve Mouzakis (Where the Wild Things Are, I Frankenstein) & Leon Cain (Terra Nova, The Straits) Directed by Dru Brown. Entries (RSS) and Comments (RSS) | 67 queries. 0.214 seconds.